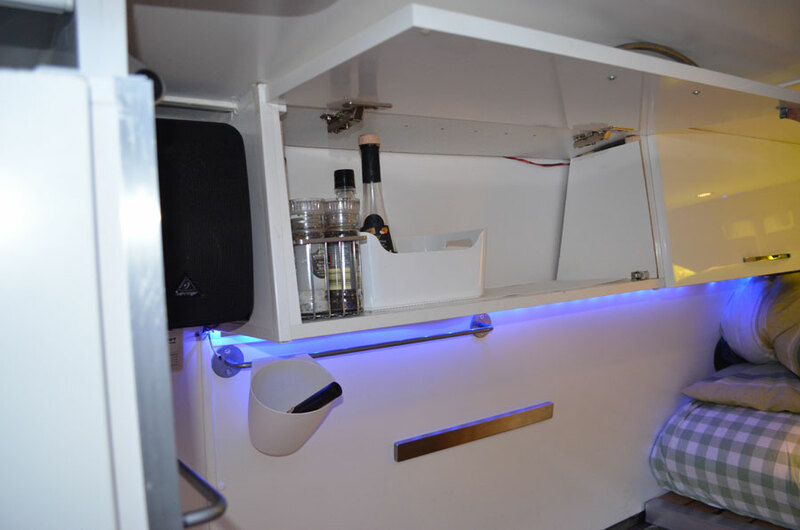 The plan here was keep it simple, four overhead cabinets and a draw between the two seats. 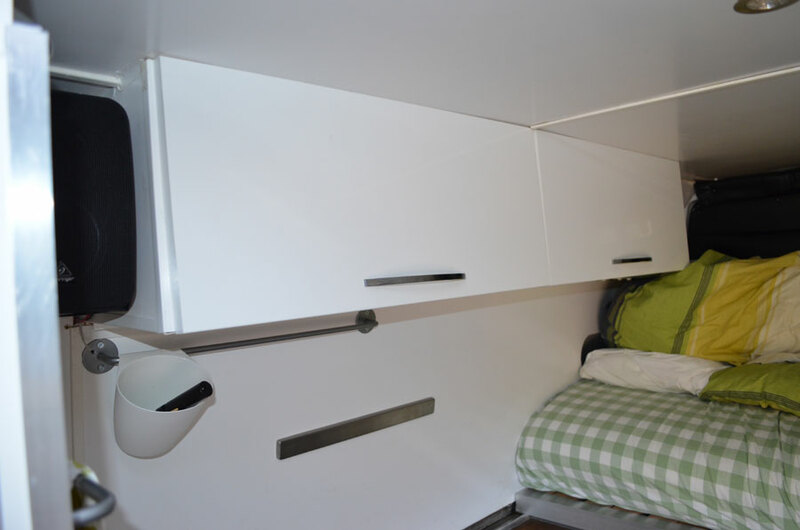 (Not including the kitchen draws and cupboard.) 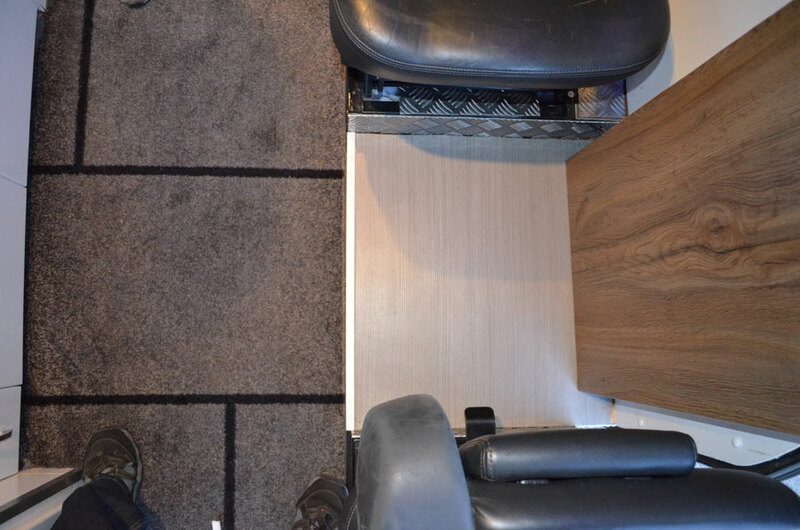 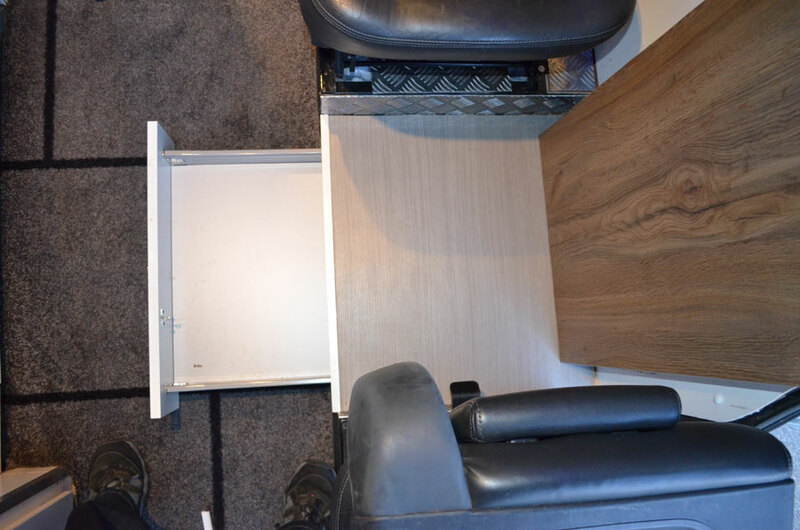 I know this is not motorhome thing to do… We bought the cabinets from Ikea and modified the carcases to fit the angles of the van. 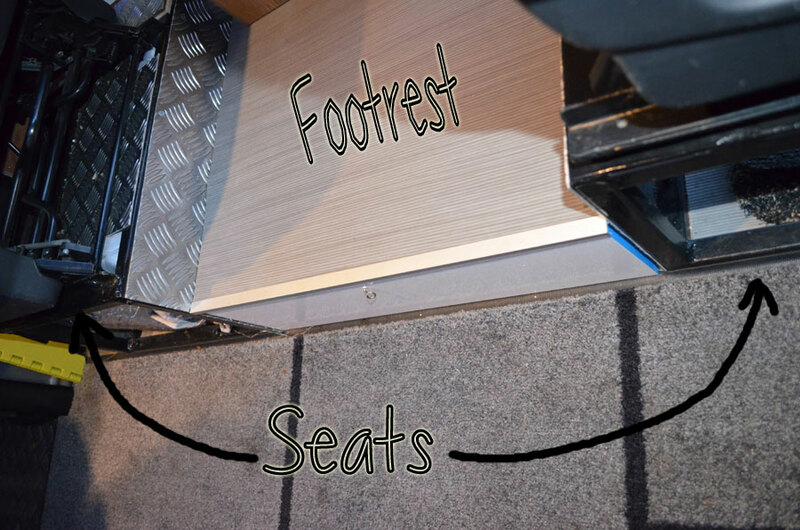 Finally a simple draw under the footrest between the two rear seats, you can read about these seats here.